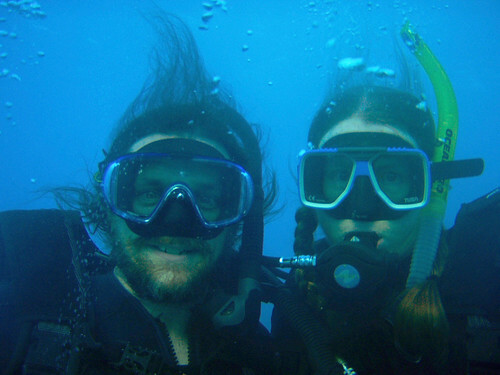 Helen and I underwater in the Great Barrier Reef (Briggs Reef, off Cairns). I really like the wild hair and its nice to see our eyes. Siobhan took this one.